Slouchy beanies are the perfect way to keep your head warm on chilly days (and hide the fact that your hair isn’t having a good day!) 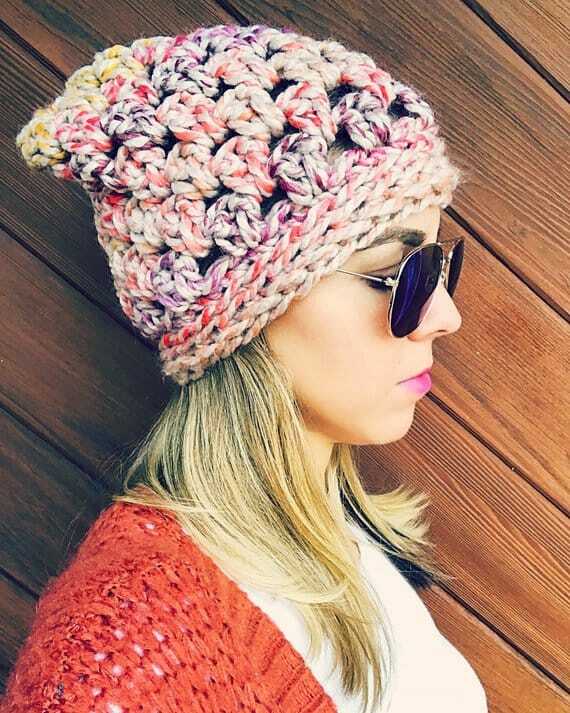 and when you crochet your own you can have them in all different styles and colors to complement your Fall and Winter wardrobe! 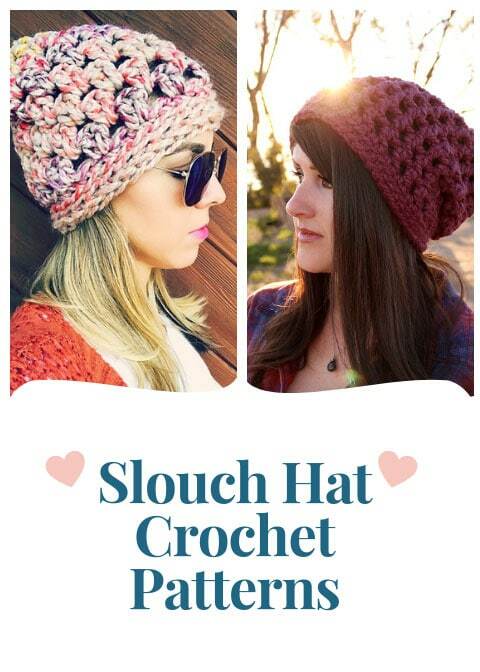 Today we’ve rounded up some fabulous crochet slouchy hat patterns (and many of them are free!) to add to your project list. Make a couple for yourself or as gifts for friends! 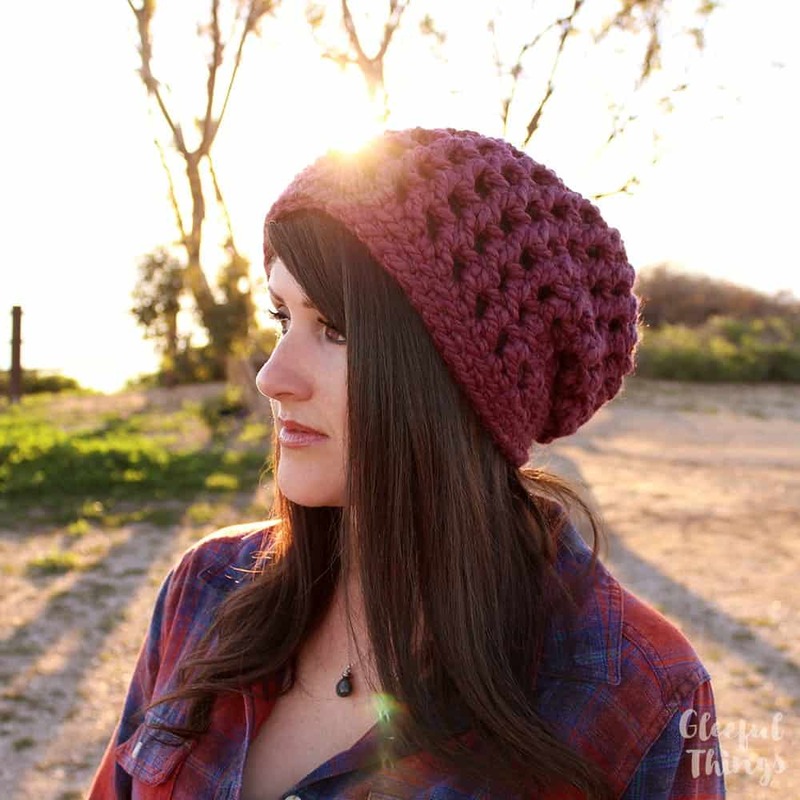 If you’re just starting out this simple slouch hat crochet pattern is perfect for beginners and cute too with that little band. I love the idea of adding a little label for a designer look! 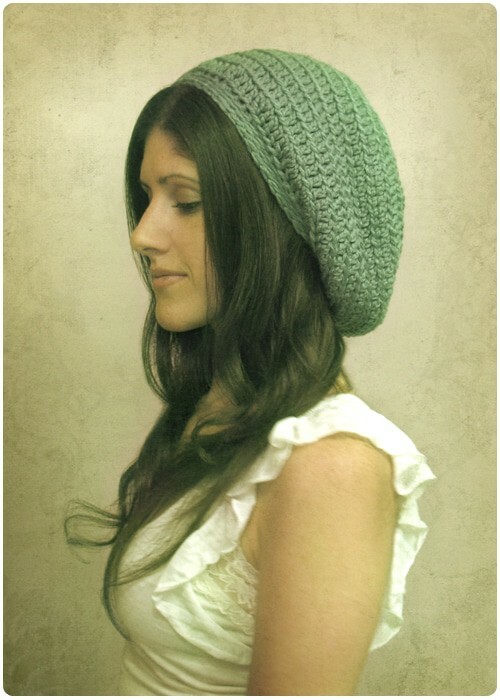 I love the oversized stitches in this hat and the multi-colored yarn gives it a cute look too. This mesh hat pattern is a little different from the others, it’s a skully hat that’s extra long giving it that slouchy look. 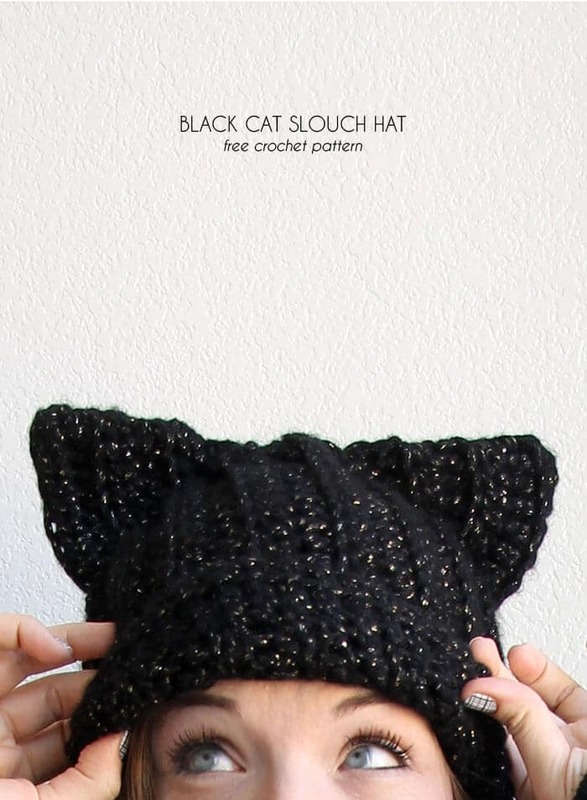 If you like your slouch hats to be a bit on the quirky side try this cat ear pattern! It would make a fabulous gift for a cat lover too don’t you think? 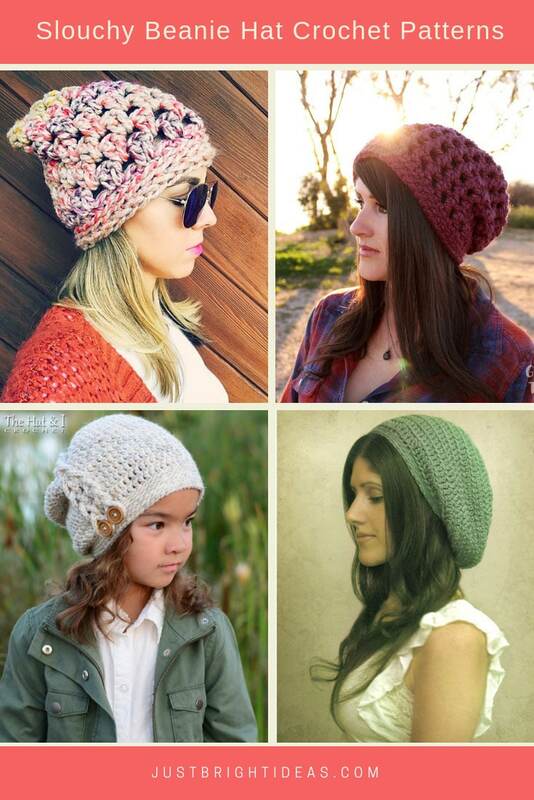 You could make up a few of these hats with a different look by making some a solid colour and other’s half and half or even switch colours after every round to make it striped! 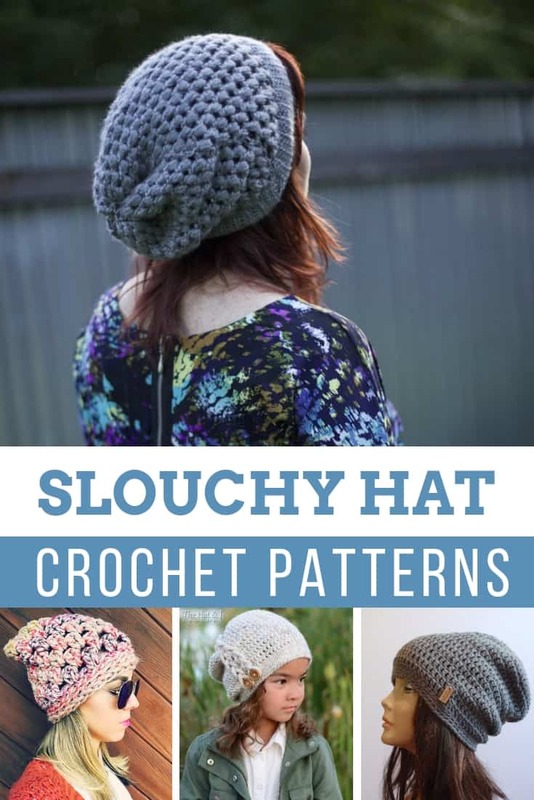 Julie is a bit of a rockstar when it comes to designing slouch hat patterns, not only has this particular hat been shared nearly 100,000 times on Pinterest but she’s also written a book that you can order from Amazon! 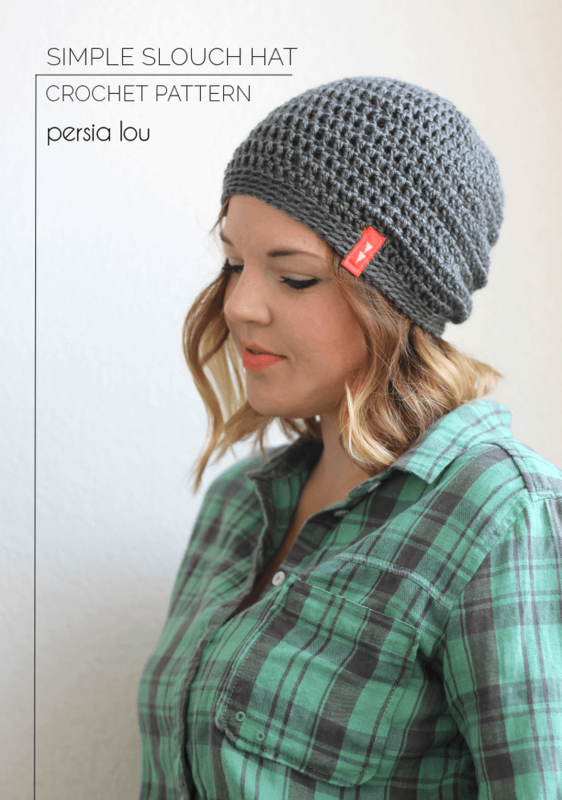 Here’s another versatile beanie crochet pattern that you’ll want to keep in your coat pocket during the winter! This pattern is a shell worked on it’s side and looks super cute when completed. I love the addition of those two oversized buttons. Watch the video to see how to make one. If you’re looking for a beginner’s pattern you can’t go wrong with this one. 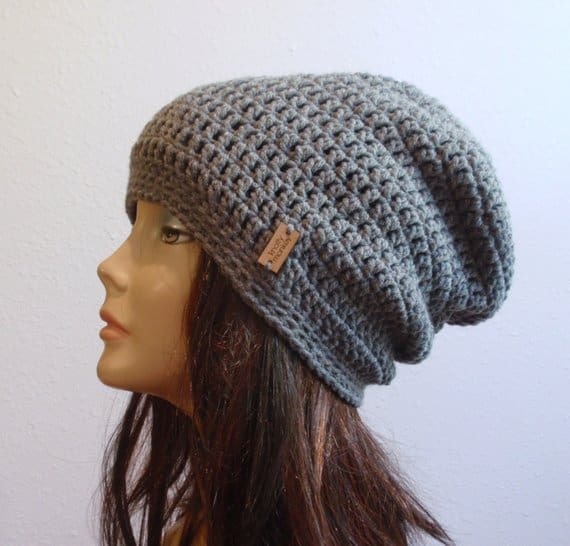 And once you get the hang of it you can whip up a beanie in less than 30 minutes! They’re perfect for last-minute gifts and even craft fairs! And here’s one more easy to follow tutorial for you. 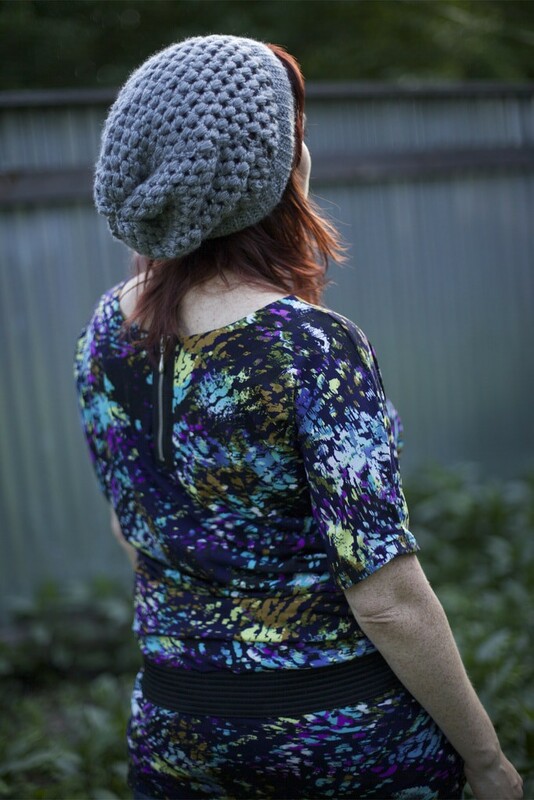 I love the chunky style of this slouchy beanie and the rainbow colors too! 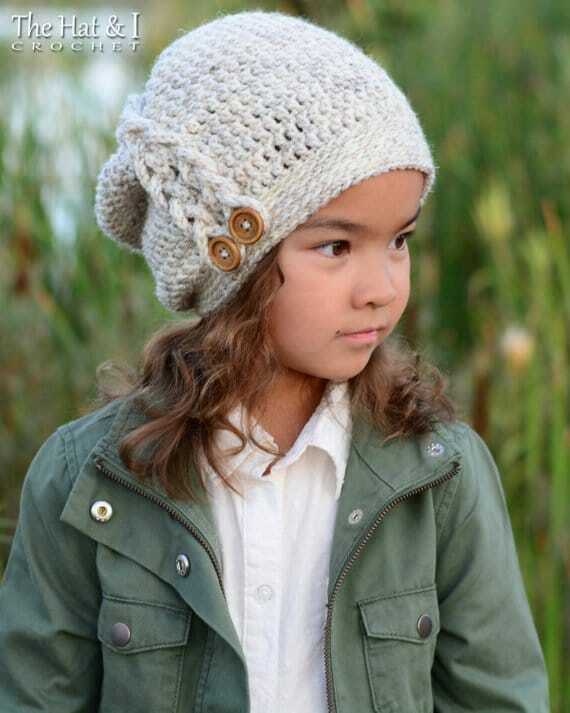 I’m a big fan of The Hat and I over on Etsy and this pattern for a child’s beanie doesn’t disappoint! It has a braid down the side ending in two buttons and is super cute! 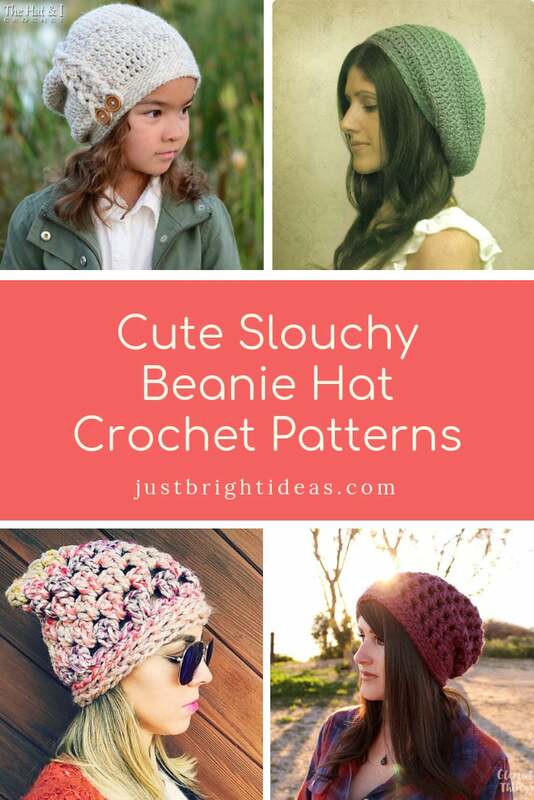 If you really want a crochet slouchy beanie but you have no time to actually sit down and make one you can just order one of these cute hats instead!